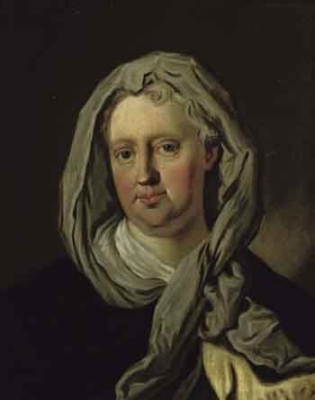 Vittoria Francesca Madamigell di Susa was born illegitimately on 9 February 1690. 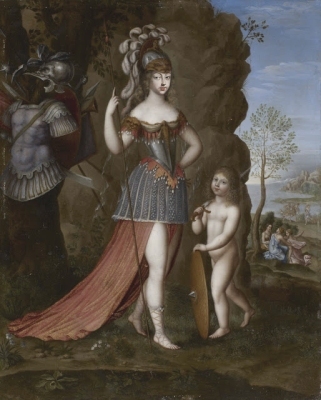 She was the daughter of Vittorio Amedeo II di Savoia, Re di Sicilia e Sardegna and Jeanne Baptiste d'Albert de Luynes. She married Vittorio Amadeo I di Savoia-Carignano, Principe di Carignano, son of Emanuele Filiberto di Savoia, Prince de Carignan, on 7 November 1714. She died on 8 July 1766 at age 76. 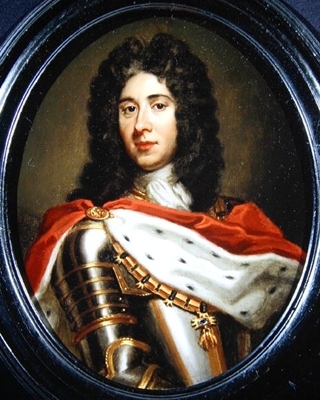 Eugenio Francesco di Savoia-Carignano, Principe di Carignano was born on 18 October 1663 at Paris, FranceG. He was the son of Eugenio Maurizio di Savoia-Carignano, Comte de Soissons and Olympe Mancini.1 He died on 21 April 1736 at age 72 at Vienna, AustriaG. He gained the title of Principe Eugenio di Carignano. He gained the rank of Field Marshall in 1697 in the Imperial Army. He fought in the Battle of Zenta in 1697, where he was the victor. He lived at Busbridge, Surrey, EnglandG. Caterina Beatrice di Savoia, Principessa di Savoia was born on 6 November 1636 at Turin, ItalyG. She was the daughter of Vittorio Amadeo I, Duca di Savoia and Marie Christine de Bourbon, Princesse de France. She died on 26 August 1637. She gained the title of Principessa Caterina di Savoia. Francesco Giacinto, Duca di Savoia was born on 14 September 1632. He was the son of Vittorio Amadeo I, Duca di Savoia and Marie Christine de Bourbon, Princesse de France. He died on 4 October 1638 at age 6 at ValentinG.